The Puerto Pando team is working to complete a design that can be implemented in a single trip. This could get the community access to water in a considerably faster time than it takes for most projects. Puerto Pando is our chapters newest community. It is located deep within the Amazoninan jungle. The first assessment trip was taken in June of 2016. 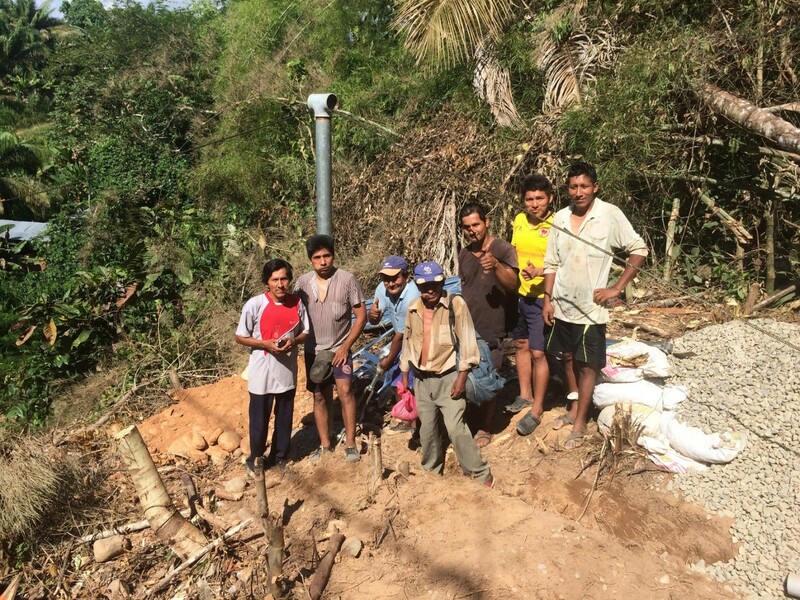 The community already had a temporarily functioning water system made from locally accessible materials. The wooden tank is already leaking and rotten though, and the piping used does not have a large enough diameter to move a sufficient amount of water to meet all of their needs. However, their ability to raise money and build a functioning system shows their capacity to sustain the new system once EWB-S&T has completed the project. I am the sub-president for the urbanization of Puerto Pando. I lead when the alcalde (president/mayor) is not here. I have live in in the urbanization for the last 8 years. I attended university in La Paz for two years where I entered my studies in agricultural engineering and later came back here. I work as a carpenter by looking at furniture and then recreating it from what I saw. A so serving the community as the sub-president. Why did you not continue education in La Paz? La Paz was not home, I did not like the business of La Paz and I wanted to help those here. University taught me much but I could not continue and not help now. I did not have money to continue education at the university but I can still make money here. 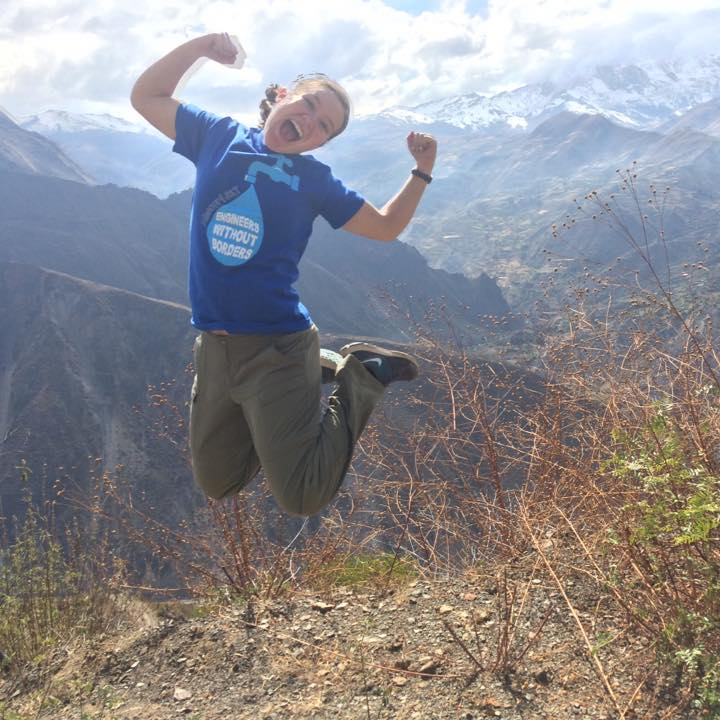 How do you feel about the current water system in Puerto Pando? Our water is not very clean. We must boil the water before we use it and sometimes there isn’t any water for us to use. Some people use the river for bathing and doing laundry because they don’t have any water near their homes. Our new system is working fairly well but there are problems with the tank that we know will cause it to stop working. We don’t like the color of the water because it is milky and is making people sick, especially the children. We are willing to work and do anything we can to get the community clean water but we don’t always know how. Are you willing to help pay for the maintenance of a new water system? Yes. I know that a new and better system might require the members of the urbanization to pay more and I know we all will help pay it. We pay a small fee currently for our system and if we can have clean water we are willing to pay what we must to make that happen. What do you think about Engineers Without Borders being in Puerto Pando? 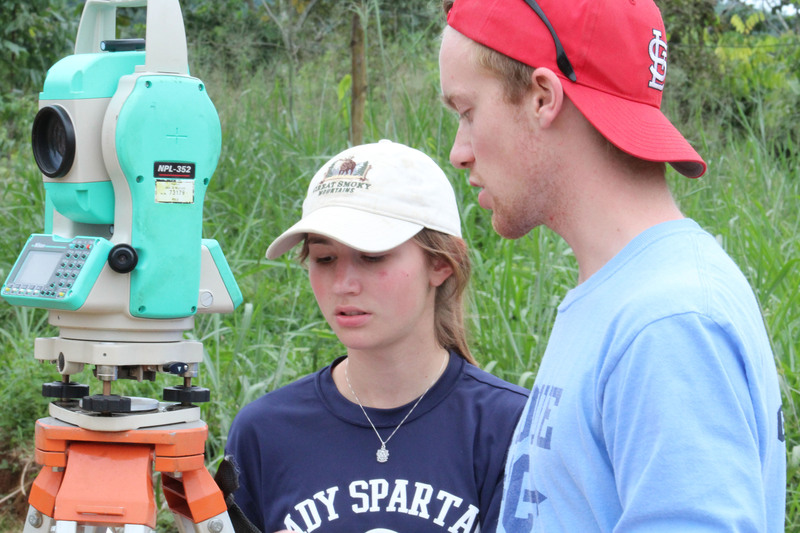 The students and adults are here to help our urbanization achieve our goal of getting clean water to the community. We have needed clean water for years and our system is not lasting. We are glad you have come because it means we will have water soon and things will be easier from now on. Do you understand how we, Engineers Without Borders, help the community? We have been here for two days now and you have seen what we are doing. Do you have questions? In order for our organization to travel to Puerto Pando and other communities, we need the help of donors (people who give us money to help others, like Puerto Pando) who make it possible to come here and get you water. Do you have anything you would want to say to these people? We are thankful for the help these students give us. We have just meet (together) and already I know they will help the urbanization. I understand you provide money to these students and that you make it possible to help us. For that I say thank you from my community and myself for finding and helping us. We hope you help others too like out urbanization. 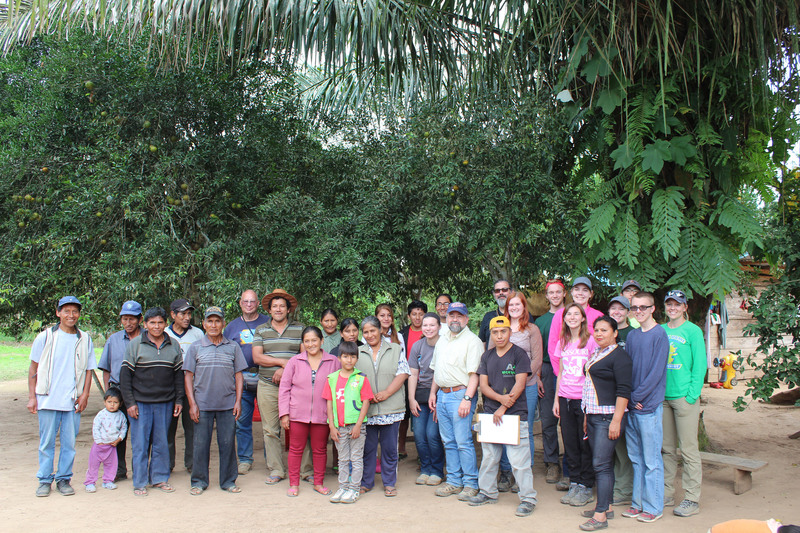 The team traveled to Puerto Pando, Bolivia for ~3.5 days and conducted an assessment trip to collect data and determine the community’s needs as well as their capacity to maintain future implemented projects. 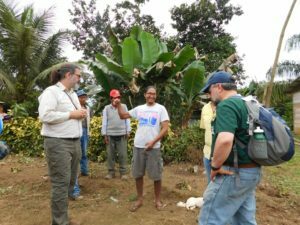 They surveyed the land, tested the quality of potential water sources, allowed the members of the community to voice their opinion of their most pressing needs, and evaluated the community’s capacity to maintain the projects implemented. The time spent with the community revealed that they will need an improved potable water system that includes a sustainable storage tank, sedimentation tank, water conveyance line, pipeline suspension bridge, and water distribution system. 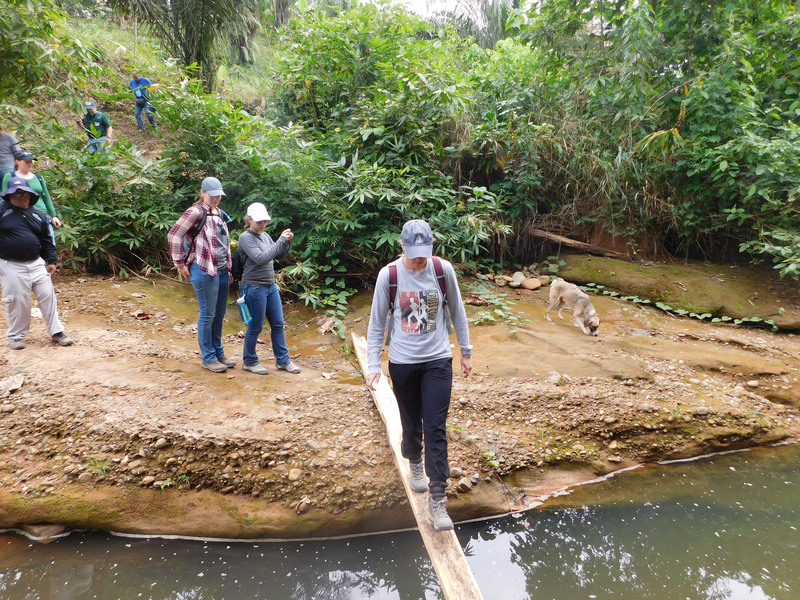 Located deep within the Amazonian jungle, our team was not sure what to expect in regards to the community’s knowledge and ability to operate a sustainable water system. After we arrived, we were pleased to discover that they already built a simple, yet temporarily functional, water system with the knowledge, materials, and organization that they had. The community members had found a fresh-water spring approximately 2400 feet away from the community. From there, they managed to build a wooden tank, conveyance line, pipe bridge, and distribution system with functioning water taps connected to most of the land plots through fundraising and taxes within the community. Due to their extremely low incomes, the materials used will not be sustainable for long term use. The wooden tank is already leaking and rotten, and the piping used does not have a large enough diameter to move a sufficient amount of water to meet all of their needs. However, their ability to raise money and build a functioning system shows their capacity to sustain the new system once EWB-S&T has completed the project. 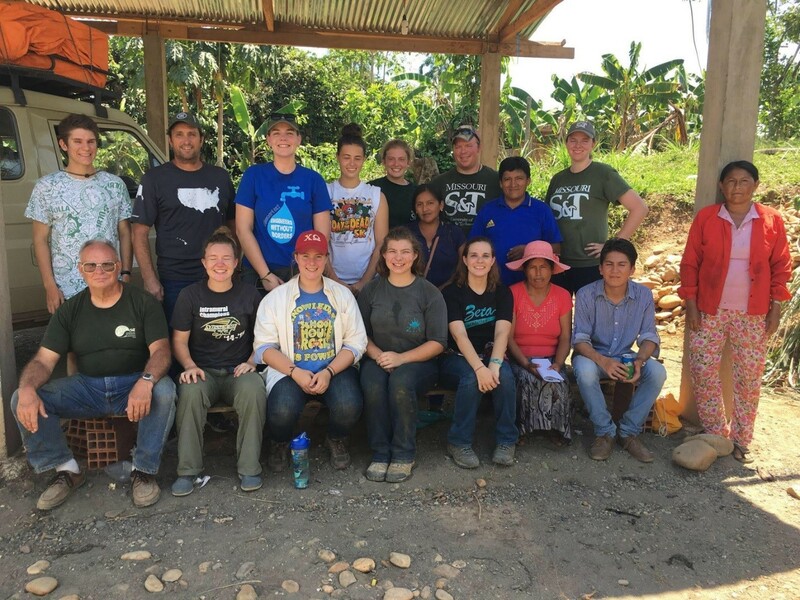 The Missouri S&T EWB Puerto Pando, Bolivia Team began their partnership with the community in the summer of 2016 with a goal of providing Puerto Pando a sustainable potable water system. Just one and a half years later, approximately two-thirds of this project is now complete! 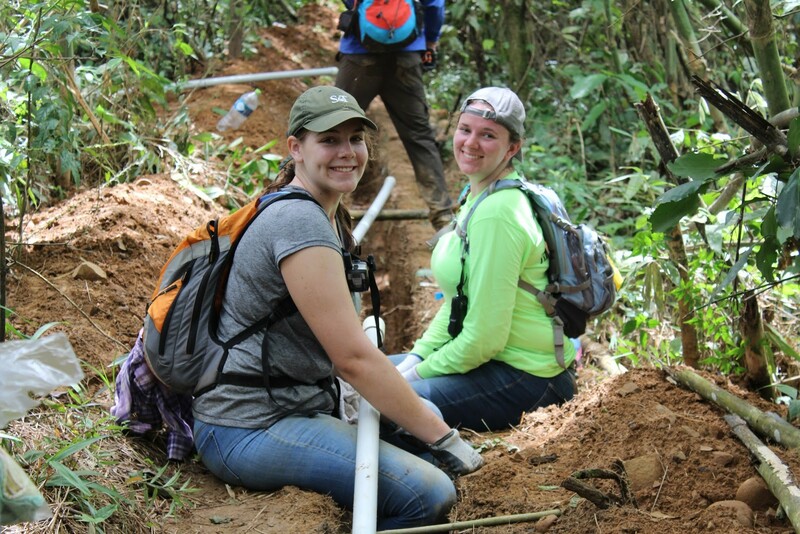 From November 16th through November 27th, during Missouri S&T’s Thanksgiving break, ten students and two mentors traveled to Puerto Pando to implement a pipeline suspension bridge and a new water distribution system. The community has an existing water system serviced by a spring located in the surrounding jungle. However, this system, which delivers untreated water, had several points of failure that proves the water system will not be sustainable for the community in years to come. 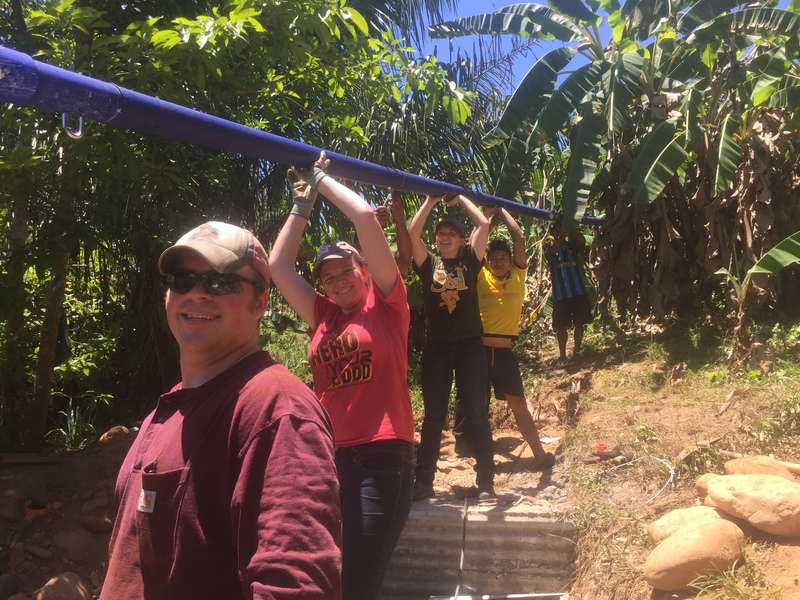 While battling the summer heat and humidity of the Bolivian jungle, students and community members worked side-by-side to connect the main water pipelines from the current water storage tank in the jungle to the distribution system in the community. The team ran out of time to complete the connections in individuals’ homes. 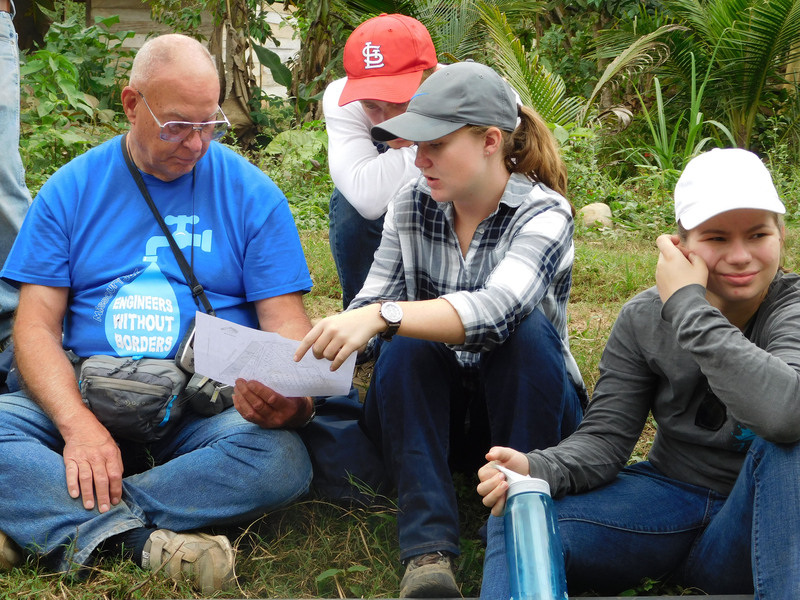 However, prior to leaving, the team empowered the community members to complete the connections themselves, and they will soon be able to have water flowing to their homes. The pipeline suspension bridge spans approximately 226 feet and supports the water pipeline as it crosses the Arroyo Mayaya, a stream which separates the community from the spring source. Its completion was a huge engineering accomplishment for the team and took an extreme amount of effort and coordination between the travelers and the community members, all while communicating across two different languages. 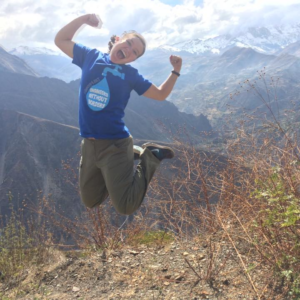 The team is extremely happy with the overall success of the trip and the steps that were taken towards completion of the overall goal of providing clean water to Puerto Pando. 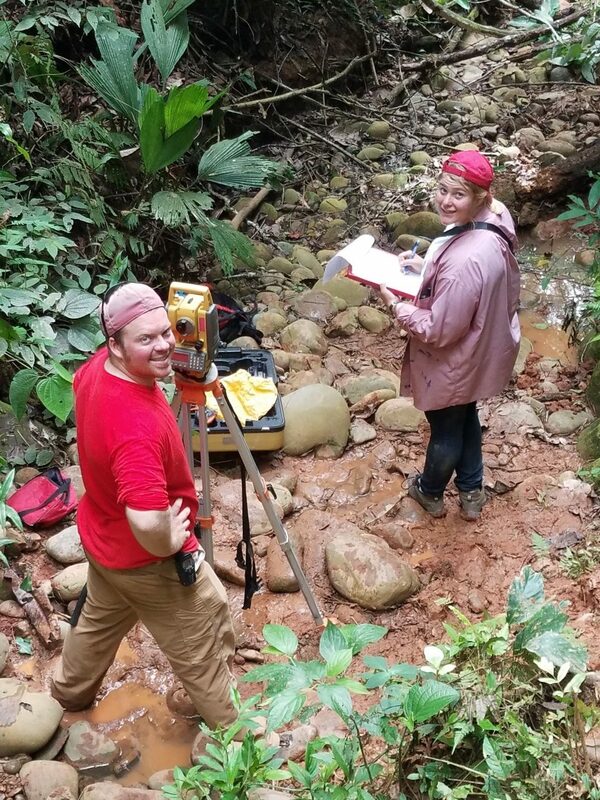 The team plans to travel again next summer to implement the water treatment components (improved collection dam, sedimentation tank, and slow sand filter) and complete the project.